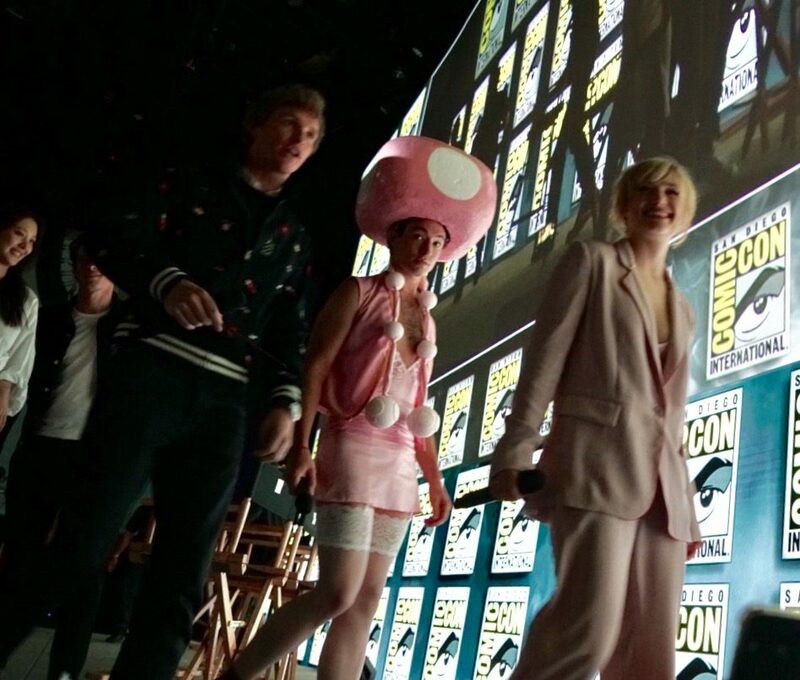 Warner Bros. studios all but blew away all competition at their annual Hall H panel. Most impressively, the studio just showed feature after feature armed with a bevy of impressive footage from each picture. Each film brought out nearly all its lead stars including a special appearance by Johnny Depp. Fantastic Beasts: The Crimes of Grindelwald came first with a neat trick. The audience were all given white wristbands at the start of the panel. When the first piece of footage showed Redmayne’s character Newt showed up on big screen as if peering into his suitcase, he waved his wand at the audience and all the wristbands lit up a vibrant blue. Redmayne arrived first joined by moderator Aisha Tyler (TV’s Archer). Cast members Alison Sudol, Dan Fogler, Katherine Waterston, Ezra Miller and Jude Law came out next. After a requisite degree of Q&A both from Tyler and the audience, the lights went out and a fully costumed Johnny Depp arrived stage left. He walked amidst a fake backdrop of hundreds of wizards in bleachers. 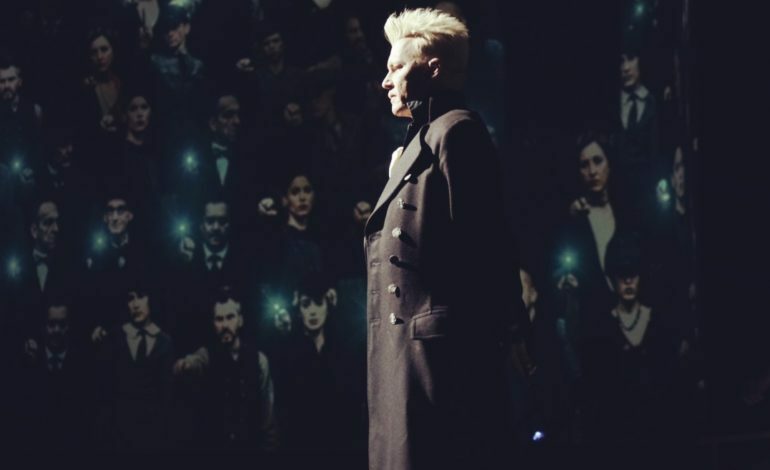 As his character Grindelwald he gave a long speech exploring his character’s ruminations on the relationship between wizards and muggles. Next up was the charming sequel The LEGO Movie: The Second Part. 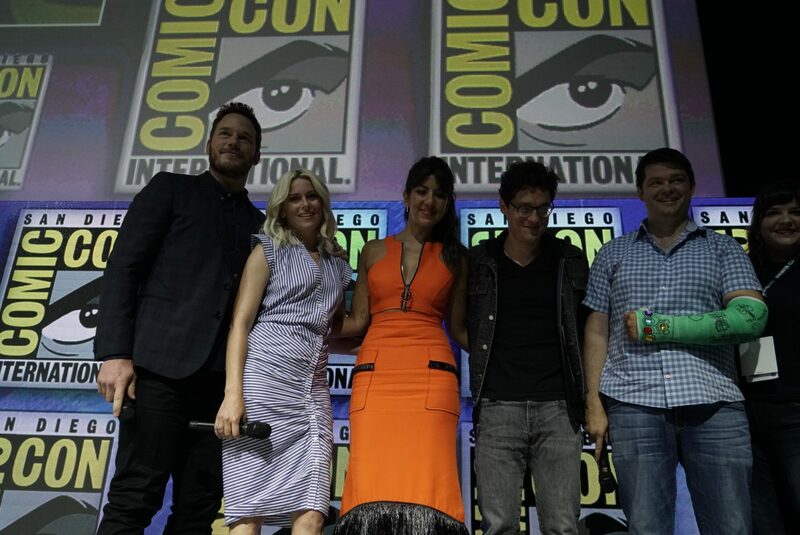 Stars Chris Pratt and Elizabeth Banks (who play Emmitt and Wildstyle, respectively) came out joined by the film’s directors. They showed the full trailer and it looks as madcap and hysterical as the first film. own and seemed a wise mix of the human drama and larger-than-life creatures that have always made Godzilla famous. You did not see Mothra or Ghidorah clearly, but you saw enough to get a sense of the scale of the characters and what they might look like in the final films. The last three sections were all culled from the DC Extended Universe of films. 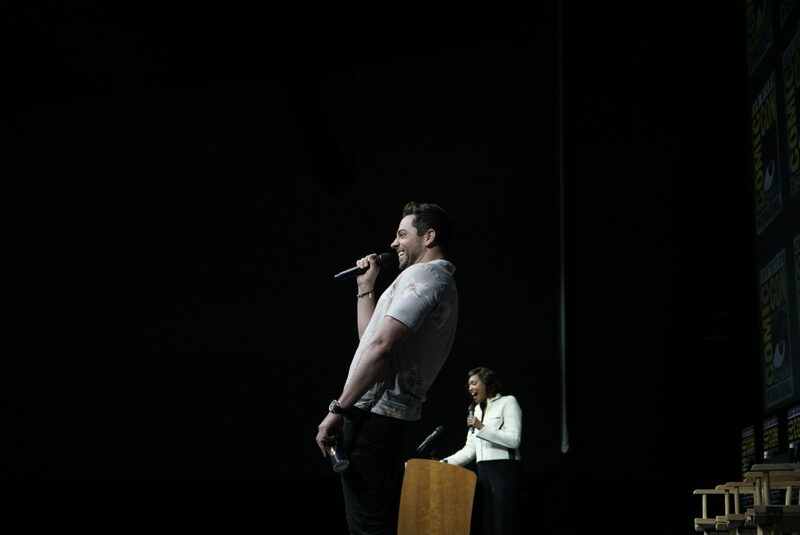 First up was Zachary Levi, ultra proudly celebrating his upcoming movie Shazam (DC’s Captain Marvel). Levi exhibits an almost manic enthusiasm which quite clearly explains why he is a good fit for the Shazam character. 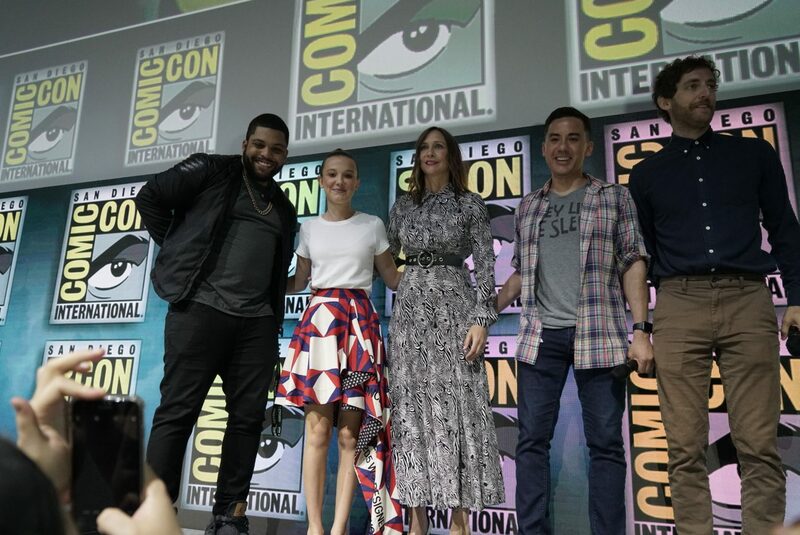 They showed two pieces of footage from the upcoming movie, both largely diving into the concept of an unlikely kid ending up with the Shazam mantle and then upon uttering the word finding himself to be an indestructible superhero. Both clips highlighted that the main focus of this film would be comedy, as Levi was constantly getting laughs in fish-out-of-water sense, always surprised in a childlike way how amazing it is to be a superhero. 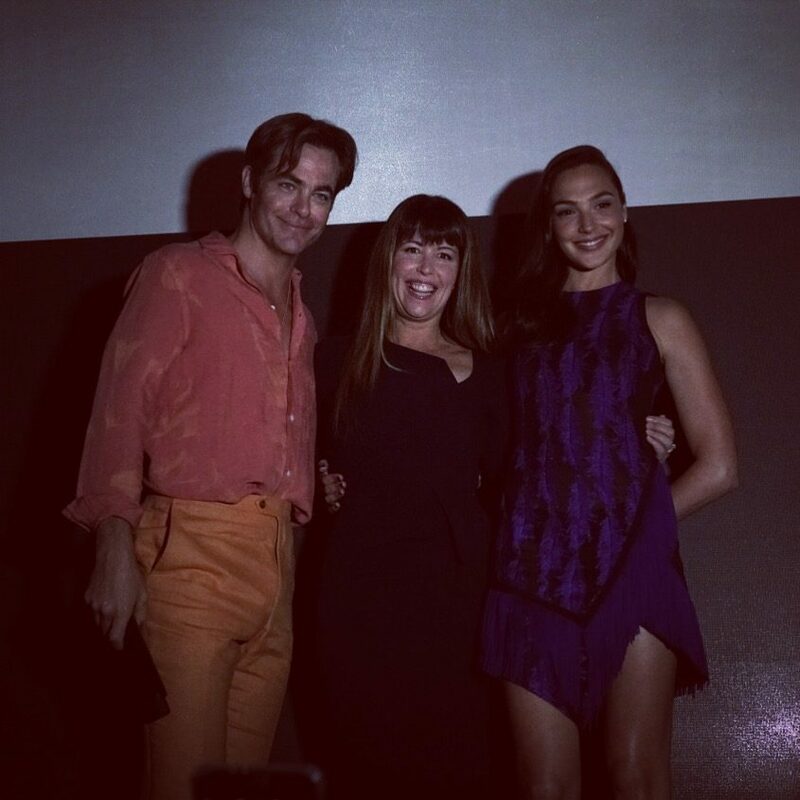 Gal Gadot, Chris Pine and Patty Jenkins came out next in promotion of the sequel Wonder Woman 1984. Fans were elated to see the trio on stage. Tyler prodded Jenkins about why Chris Pine was on stage if his character had clearly died at the end of the first film, but she declined to offer any explanation as to his presence. She did indicate in detail how picking 1984 was a central choice to making the movie as she found it to be a time of incredible success for mankind and also incredible danger. Even though they are only about three weeks into production, they had one brief clip to show. Diana finds herself in a fight with a gang of bad guys inside of a very ’80s indoor mall. She saves a young girl and then uses her lasso to defeat the villains while swinging around the mall. And lastly, the back video wall parted to allow Aquaman Jason Momoa to come out a massive cheer. He spoke enthusiastically with Tyler about how excited he is about this upcoming movie. He then brought out his director James Wan and cast members Nicole Kidman, Amber Heard and Patrick Wilson. Thankfully, there’s a super positive energy revolving around everyone involved this film, and it is quickly evident that the end-product of this will be far better than the Justice League and recent Zach Snyder-helmed movies. They showed the official trailer and on super secret series of scenes. The second video featured a massive fight with the ultra-cool looking Black Manta with Aquaman and Mera running across rooftops. Another segment showed Aquaman and Mera traversing a desert and entering a pyramid. They arrive to trigger an ancient device where a holographic image (presumably Poseidon?) gives them a message about a trident that could either cause utter destruction or unite the undersea and over land kingdoms of Earth. Elsewhere in the montage Kidman’s character is fighting off opponents in a lighthouse, a giant battle is about to ensure between the good guy’s and Ocean Master’s army and even Momoa finally in his full comic-inspired golden armor. It’s tough to admit, but it looks like it will be a good one, one of the better DC/Warner Bros. has made since the Dark Knight.